If you need to go retail shopping or buying whatever product you must ensure yourself about properly invest your money and getting quality and long lasting products for an affordable price. In Oxford, there are plenty of stores where you can buy the best products. You can choose from a typical little store or mall to outdoor shopping malls or even luxury shopping malls if your budget allows it. At Infoisinfo we hope you spend lovely shopping hours and have a lot of fun while buying the best quality products in Oxford. We help you to find the nearest shopping center. Nowadays, lots of people prefer to shop online rather than visiting the physical stores. However, there are some advantages that shopping in a store involves that couldn't be ever matched by shopping online. You can personally check colours and the quality of the materials better than online. This is essential when it comes about outlet shopping and we want to be sure about the quality. You can try clothes on and see whether they fit you or not. You don’t have to wait to get the product delivered and exchanging it is much quicker, easier and you are less likely to need it. Going to a shopping mall is a good idea as a leisure activity to enjoy with friends. Restaurants, cinemas or coffees are also available, for example. At Infoisinfo we always work hard to be able to show you where to buy or hire the best products and services for you and your company in Oxford. We know how important quality and price are for you when buying new products. For this reason, we want to help you by offering you a list of the best shops and shopping centers in Oxford. Among our directory, you could find little stores as well as local malls, shopping villages and other shopping complex. Contact details such as websites, address, phone numbers or opening times are provided, as well as comments and valuations from other buyers to get some advice for your choice. 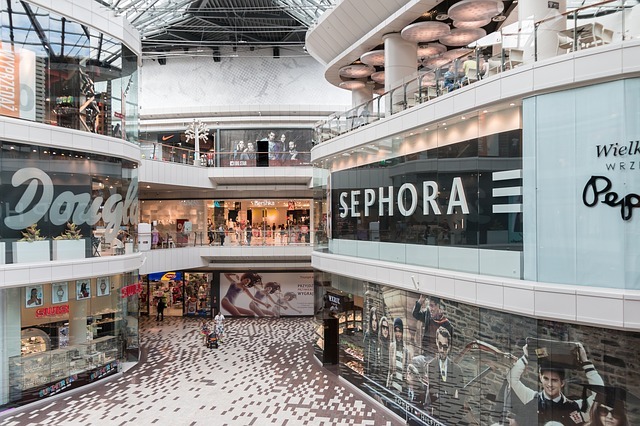 Find the perfect shopping mall nearby and enjoy shopping time!